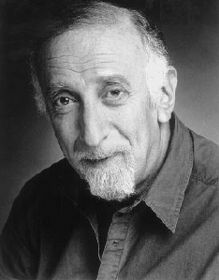 Tony Jay (February 2, 1933 — August 13, 2006) was a British actor who played mostly villainous roles with a deep, highly distinctive voice. His natural speaking voice just oozed magnificence. He died at 73 in 2006. Super Secret Secret Squirrel (1993-1995): The Chief (a Cape buffalo). TaleSpin - (Shere Khan again, only as a Corrupt Corporate Executive this time). Many voices in the CD version of King's Quest VI, including Captain Saladin. Star Trek: The Next Generation - Minister Campio in "Cost of Living". Miss Spider's Sunny Patch Friends - The voice of Spiderus, who at first seemed to be a villain, but was later revealed simply to be a grump at times and later became a father. He got to sing in this one. Invasion America - The Dragit. Twin Peaks - Douglas Milford. May be the only actor to appear in both The '80s TV series Beauty and the Beast and the 1991 Disney Animated Canon feature film Beauty and the Beast. The Big Guy: He was 6'4". Irony as She Is Cast: Jewish actor Tony Jay voiced the evangelical Catholic, Judge Claude Frollo. Large Ham: Occasionally. Especially as Frollo and Lord Dregg. Typecasting: He was mainly cast in villainous roles, especially the Evil Brit type. This has mostly to do with his voice having a truly chilling, menacing tone while still being very clear and suitable for a more cultured Big Bad. Playing Against Type: Dr. Lipschitz (the baby psychologist on Rugrats), the OSA Director on Return to Castle Wolfenstein, and The Smart Guy Virgil in Mighty Max. To a lesser extent, the scientist who Philium Benedict has "detained" as punishment for the shorting out of the weather laser in Recess: School's Out. And in Twin Peaks, where he plays the Dirty Old Man Douglas Milford who is most villainous trait is his Sibling Rivalry with his brother Dawyne. Also, Spiderus in Miss Spider's Sunny Patch Friends, who was more of a Jerk with a Heart of Gold, or at worst a Cranky Neighbor. This was used to set up a Subverted Trope in Gargoyles, where he portrayed Anubis. Everybody Hates Hades, but in this case, Anubis was not a bad guy, just an honest god doing a job. Apparently his Typecasting was so well known, that it was even emulated by certain voice actors (eg, Richard Waugh's performance as Albert Wesker from the Resident Evil series was cited to have been based on that of Tony Jay's performance as Shere Khan). His voice also served as an inspiration for Helmut Bakaitis' performance as The Architect from The Matrix Reloaded.